We are very happy to pray for any requests that line up with God’s Word. However, perhaps we should mention that, occasionally, we have people request prayer for what they call an “unspoken request.” They want prayer but will not tell the person praying what the need is (healing, finances, family issues, unsaved loved ones, a place on a ball team, a winning lottery ticket, etc.) That may sound comical, but, as you can see by this one small list, these “unspoken requests” amount to asking someone to pray for a totally unidentified entity, not even knowing if his own heart, let alone God’s heart, can truly agree with it. So when you send your requests, please tell us specifically what it is you want God to do for you. You do not have to know the name of the disease or the affliction from which you need deliverance. And you do not have to give us the names of loved ones if the prayer is for them. But you do need to be clear about the fact that it is a healing need, a salvation need, a relationship problem, or some other specific need in your life, so that we can go to God’s Word, find what He says, and then go before Him to make the request with a promise already in our hands. When you receive the answer, if you would like for us to share it on this site, we will be glad to do so. But we will not reveal any information or requests that you do not wish to have revealed. Occasionally, visitors are asked to provide their name and an e-mail address before commenting. Those two items are required by Word Press in some instances as security measures to protect the blogs and their owners. We will never give your e-mail address to anyone else, nor will we flood your mailbox with advertisements or spam of any kind. God will not hear me brother, sister in Christ. I am female, 28 and think He became as deaf, just for me. Even before I betrayed Him (I looked for wisdom and answers in other religions and started believing in wrong beliefs as for example reincarnation but now i don’t know everything but know better now), there were already many impediments in my life and people out to get me if you know what I mean after i betrayed Him everyone betrayed me and my life became chaos,old friends, relatives,acquaintences from nice old times , most became fierce enemies. Something on the line of what happenned to Job and DEUT 28 is happening to me, but for different reasons , with some modifications. Please pray God will forgive me and deliver me from my enemies , i am forced out of everywhere i go it beggins normaly then i get treated like a leprous dog even in churches people won’t understand or mock my situation for no reason, won’t take it seriously but it is worse where i am, it as if the whole wrold regrets i didn’t die. FATHER BLESS AASTHA AS MY LOVE AND LIFE PARTNER.BIND US TOGETHER IN MIND,SPIRIT AND BODY.KEEP ME IN HER THOUGHTS.IJNIP.AMEN. I request healing of my mother Jacintha Pinto as she is suffering from severe lower back pain and unable to do normal work. I request you to kindly pray for her. I want my visa appointment to b successful and granted!! I just pray for an answer tonight are tomorrow are soon about Delea and savanah. I just pray that god shows me which one. I may be 14, almost 15 but I really long for someone. him.urgently we need your prayer support. 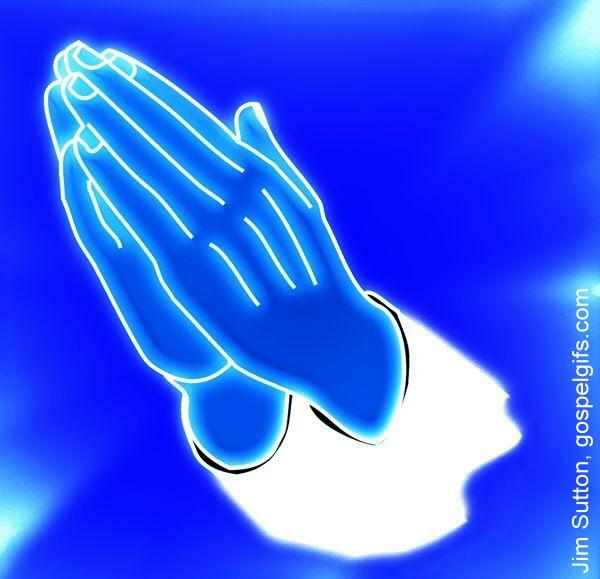 Healing prayer for the health of my mother Marilyn as she was just diagnosed with stage 4 cancer. Please pray for her that she will have strength to fight the illness and her body to recover fast. Please Pray For My Situation. For There To Be A Way My Ex , Isaiah Dennis, Can Move Back To Our Hometown Chicago. We’ve Been Broken Up And For A While Due To His Family & I Ask That Our Relationship Is Restored & We Can Love Eachother Better. That We See Eachother More Often & Gain The Love Back We Once Had. (Very Urgent) Respected, I am requesting healing on the behalf of my Mother Sudha Pandey (Last name from her Father side is Ojha, Last name from her mother’s side is Nepal). My Mother Sudha is 55 years of age. She is hospitalized in the hospital now. She said that she needs continuous prayers for longer time, healings & cure from the God. She is bed ridden now unable to walk, talk or eat properly.Just about a week back she got badly attacked by bad health all of sudden & bad souls & negative energiesas well. She is suffering multiple illness since a long time like Chronic Asthma, lung congestion, Unable to breath, heart problem,high blood pressure, high blood sugar, Uric acid problem, thyroid hormone problems, hormonal dis-balances, Sciatica back pain, Arthritis whole body pain, Dislocation of vertebra, somewhere thinning & some where fattening of bones. Problem in the digestive track, Her gall bladder was thrown cause of stones, with fever & severe illness. She has lot of illness i have forgotten to mention here as i am not able to remember the long list. She takes about 8,9types of medicines everyday & also has to take a powerful inhaler to breathe properly. Please pray for her for her full cure, healings & long life. May Lord bless her with long life. Amen!!! Thanks so much. May God bless you all & your whole team. Amen!!! Thanks so much. Please please pray for my promotion as a stenographer. please pray for my success in departmental stenographer examination which will be held on next month. pray for protection from enemies. I am coming out of a difficult place. I’ve climbed out of my hole of manic depression and I’m fighting to stay out of it. Please pray with me that God continues to strengthen me as I climb the mountains of my life, that the other of side of this may come swiftly so that I can rest mentally, emotionally, and physically. And pray that he gives me faith and love to encourage me until this trial passes. I’m trying guys. I just need a little encouragement. I believe greatly in his word and promises and I’m fighting to hold on for the breakthrough. I claim it. We are in agreement with you for God’s continued deliverance, strength, and healing. Remember that He tells us in Proverbs 4:20-22 that His Word is real medicine and health to all of our body — and that it true for our emotional and mental self as well. And don’t forget that all of the teaching articles and videos linked on this site are free. Take advantage of them to help encourage and strengthen your faith. We are trusting that the Lord is continuing to heal you. Always remember that He tells us in Proverbs 4:20-22 that His Word is real medicine and health to all of our body. If you still experience times when pain makes it very hard to read, be sure and listen to the healing scriptures on the YouTube link that you find on this site. Many of the other YouTube videos will be helpful in strengthening and encouraging your faith as well. All of the materials are totally free, so be sure to take advantage of them. I need prayer for healing in my heart and spirit and body. I need the Lord to remove the legion of torment that bothers me daily cut out the accuser from my life and help my faith and remove the strongholds od deception and war on my very soul. We will be in agreement for His deliverance in all those areas. Be sure to keep yourself in His Word daily — especially the Psalms and the New Testament. The Word itself will cleanse a lot of that out of your life – if you read it, meditate on it, pray over it, and speak it out of your own mouth. Please Pray for my relationship to be healed. We have two children and a third on the way. The father seems to be depressed and wants to leave. Pray for him to fall in love with us again so we can be a happy family forever. We’ll be very glad to pray and believe with you. I am currently waiting for my American visa. I am to go to the Embassy for interview but every the keep postponing the date of my interview. I have been trying to go abroad for a very long time now. May God help me and see me through this time in Jesus name. We will be praying for the Lord to work things out for you to get your visa very soon — and that He will provide all the resources for you to fulfill His call on your life. He also wants you to have a loving wife and family. Of course, we cannot know if the fiance you had is the best person for you, but the Lord knows and wants the very best for you. Trust Him. He will not fail you. Please dear God perform miracles in our life! We are moving in 6 months and I’m scared to death! Please let us have a home ready that accepts cats so we can have our happy little family! I don’t ask for much, but I humbly ask you for your help God! We will be agreeing with you in prayer. The Lord has given us animals to be our friends, and He cares about them very much. Your concerns matter to Him. We will pray with you for your complete healing. Be sure to begin reading God’s healing Word to your body every day. He tells us that His Word is real medicine to all of our body. Also, if you will study the lessons on this site — both in print and on video — they will build your own faith stronger and make you more able to receive. I have read your all your Comments and I would like to suggest Christian Prayer Group community, where you can select prayer and request them to send on your behalf to the holy places. You can choose places as well to deliver your prayers. Hope you will find it useful. I ask your prayers for healing from Lymes disease. I believe what is incurable with man is curable with God. I have had symptoms(including hoarseness-I’m a singer) for almost 2 years now. Pray that my faith is strengthened during this time and that I come back stronger than ever!!! Thank you and God bless you! The Lord wants you delivered completely from Lyme disease and all its symptoms. We will be agreeing with you in prayer. Be sure to read God’s healing Word to your body every day. Don’t forget that He tells us in Proverbs 4:20-22 that His Word is medicine and health to all of our body. And if you will read the teachings on this site and watch the videos, you will find your faith greatly strengthened by them. We’ll be glad to agree with you in prayer for that peace and unity. Please pray for my mother Virginia Magpayo. She has a cancer and really need miracle from God. My father Alfredo Magpayo also is sick and will undergo surgery. We are believing for the Lord to work in your family. Be sure and encourage them to read God’s healing scriptures regularly because the Lord says that His Word is medicine for our whole body. Pray for my brother in law Mr Harold Herlan in Sandiego Navy hospital. he has left side swollen for a month now and he has lung fluid and kidney dysfunction all on left side. His urine is being drained externally and fluid from lungs drained. He has eating tube in stomach and breathing tube in neck because the swelling in neck presses on his trachea and breathing pipe. He is a man of God and born again and wants to get back to his feet and teach his biology students. Prayers for him and his wife who is stressed now. He will live to give a testimony. We will be in agreement with you for God’s complete deliverance and healing for your brother-in-law. Encourage him to read God’s healing scriptures to his body every day — or to listen to them read if he cannot read himself right now. God’s says His Word is real medicine to our whole body. God’s Word records another mother who did not have a covenant with God and Jesus Christ, but who came to Jesus to ask for healing and deliverance for her daughter. Jesus delivered that woman’s daughter and healed her. He is very willing to do the same for your daughter. We are agreeing with you in prayer for her complete recovery. I have been reading healing scriptures, as well as listening to them with Alexis since last year. Read many books about healing, listen to many preachers about healing. Comand our bodies to line up with Gods word. Believe healing is in the atonement. Believe we all ready have it. Why are we not seeing it in the physical realm? Naturally, we cannot answer that question for any individuals — especially people we don’t know personally — but sometimes there are common hindrances that do interfere with receiving manifestation of healing, even though God grants it. If you read the free book “Healing Is For You!” on the site, you will find a chapter devoted to some of the most common hindrances, and that may be helpful. Also, if you would like to e-mail us at radicalaboutjesus@gmail.com, we can reply to your e-mail and attach a copy of the outline of Sandra Conner’s teaching “Receiving Healing in Obstinate Cases.” It is not a complete teaching, but even as an outline, it has some very helpful notes and scriptures, and perhaps it can shed some light on the situation for you. My husband John was diagnosed back in Nov 2015 of prostate cancer. We chose not to do radiation as that only damages organs. We are PRAYING for complete healing through the only healer that we know of. We have changed his diet and taking natural things like CBD oil etc for healing. He went in for a blood test and I am prayers for a good result. Please help us pray. We will be praying with you for the Lord to destroy the cancer and heal your husband’s body. We will pray for the Lord to deliver your mother from all cancer and kidney problems. Be sure you get her to read — or you read to her — God’s healing scriptures every day because the Lord says that His Word is medicine for our whole body. We will be glad to pray and believe with you for God’s deliverance and healing. Be sure you spend much time in His Word every day — especially in His healing scriptures. You’ll find many resources on this site to help you stay in the healing scriptures — which are God’s Medicine. When you read the Word, remember to concentrate on Jesus especially. In the four Gospels of the New Testament, you’ll find Jesus and His love and compassion are the primary subject. That’s what you need to focus on to get rid of fear and anxiety. Also, the Psalms will be very helpful for you as well. Do you need healing, or are you asking for prayer for your marriage? What are you praying for personally that we can agree with? We will be glad to pray as soon as we understand your request better. Are you needing prayer for changes in his work situation so that he can be free to come home, or is it a situation in which he does not want to come home? Each of those situations requires a different kind of prayer. we will be able to reply to your e-mail and attach a copy of the outline of Sandra Conner’s teaching “Receiving Healing in Obstinate Cases.” It is not a complete teaching, but even as an outline, it has some very helpful notes and lots of scriptures that may be helpful. We will pray for the Lord to deliver your husband from all demonic influence and restore him to your marriage. THAT WAS A PRAYER REQUEST. Supernatural healing from Jesus for my 15 year old daughter Alexis. She was diagnosed last year with THORACIC SCOLIOSIS. We will be believing with you for her healing. Be sure and read God’s medicine (His healing scriptures) to her body every day.